What kind of cushion is right for my home? Life without cushions and pillows would be hard, to put it mildly. I mean, where else would we hide teeth for the Tooth Fairy? What would we hit each other with in a harmless fight if it weren't for pillows and cushions? Beyond their practical function as a soft shield for our heads when we sleep and a way to soften hard furniture when we sit, cushions and pillows can be a dramatic decorating accents and are among the easiest do it yourself projects known to man. 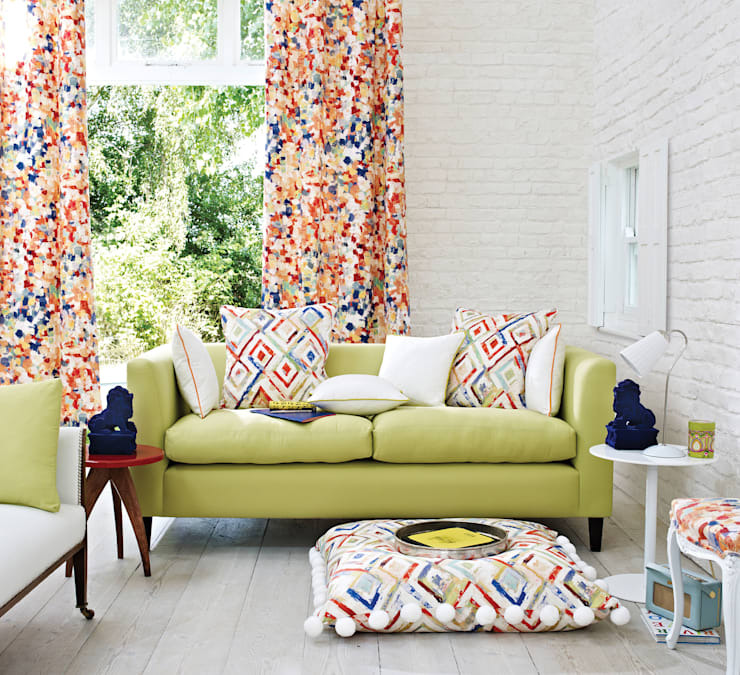 So when it comes to choosing the correct cushions for your home, where do you start? There are several aspects to consider when shopping around for cushions. They need to match your home's interior design and colour scheme, you need to figure out where they're going to go, and even what size they should be. If you're struggling trying to figure out what kind of cushion is right for your home, keep reading and get inspired! First thing's first. Before you can even start thinking about which cushion to buy, you need to assess your home and define your style. If you have a more country style home, you might want to consider leather cushions to enhance that rustic, rural charm. But in this image, we can see the style is more of a modern classic, so leather cushions would be a definite no-no here. 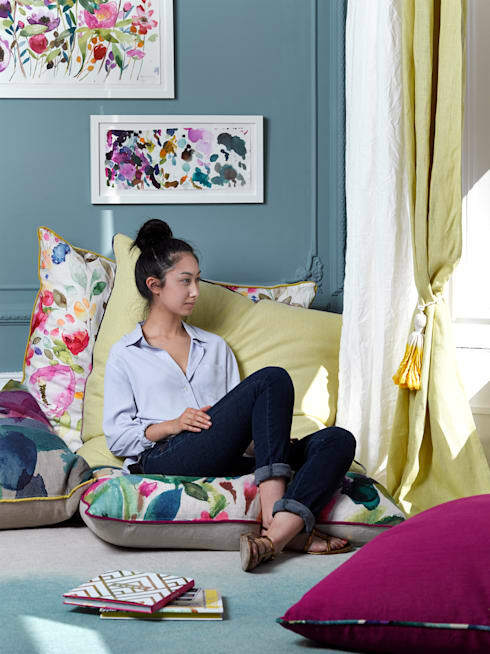 Here, we see the fusion of three different cushion styles in one room. The couch cushions are black and loose and paired with white and black accent pillows, giving you a sinking, yet supported feeling when you sit down, whereas the yellow ottoman uses harder cushions for extra support. And then we have the stylish, pink paisley printed chair. The cushions on this piece of furniture are an cross between the loose sofa cushions and the hard ottoman cushion. Whatever your style, you can pick and choose many different cushions colour, shape, and texture styles, as exemplified in this photo. Where do you need cushions? The age-old question – where do you need cushions? Well, you can have them pretty much anywhere, to answer your question. Aside from having cushions in the obvious places like on couches, ottomans, and chairs, you can place cushions directly on the floor if you like. 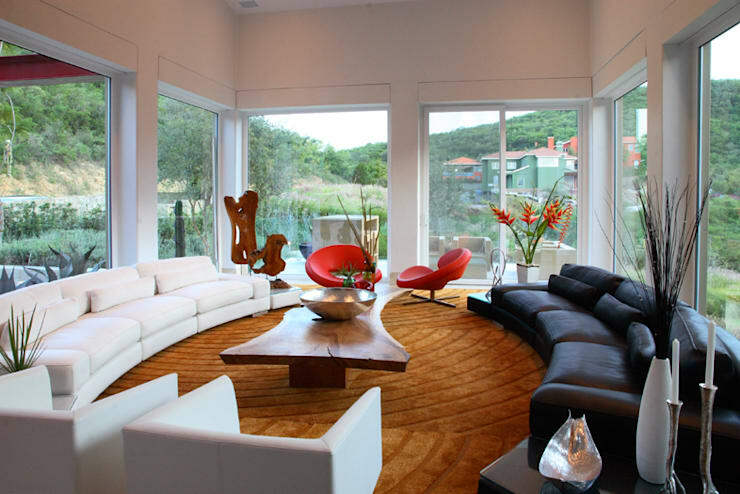 In many Asian style homes, you often see cushions on the floor to be used in place of chairs. As we can see in this image, thick, large, fluffy pillows provide the perfect support against the hard floor. So if that's your interior decoration style, don't even worry about finding cushions for chairs – just make sure they have enough support for your behind. Having additional cushion support for your back is also a good idea, if you're not decorating for a living room area. In this image, floor cushions are used in the study, so having back support while you read is ideal. The colour palette of your cushions is one of the most important factors to consider when shopping around. When you consider your home's interior design scheme, as well as where you're going to use them, colour is of great significance. We can see the incredible use of some very bold colours in this living room setup. Silver and magenta aren't normally the colours one would pick right off the bat, but in a living room where the walls are light and there's minimal decor, bold cushion colours are the best choice. They'll make the room pop and not seem so drab and boring. You do want to make sure, however, that your cushion colours match in some way with the other decor in your home. For example, the silver and magenta cushions here reflect the purple curtains and silvery blue-purple of the carpet. 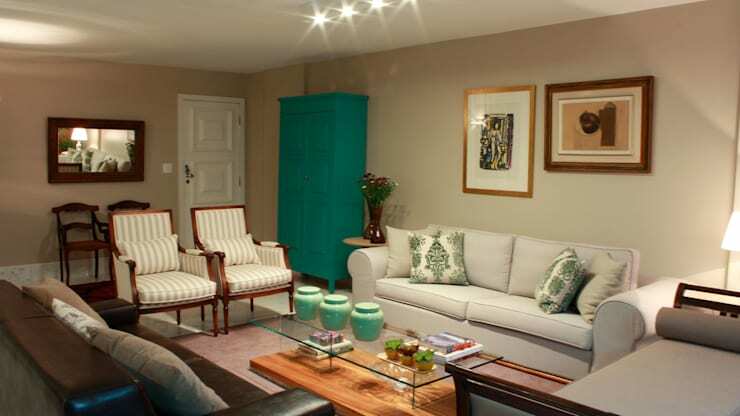 Every colour element in this room complements one another. The size of the cushions you buy are also an important factor to consider when shopping around. When it comes to couch cushions, picking the size can be especially difficult. In this couch style, we see two large cushions for the seat instead of, say, three smaller ones. And then we also see the four small accent pillows paired with the sofa. When you have long couch cushions for the seat, you'll definitely want smaller pillows as accents to match. Otherwise, your sofa will just seem like something out of a Doctor Seuss book – big, crazy, frumpy, and mismatched. Not to mention not well thought out design-wise. Another thing to think about with the size of your cushions is the size of the room they'll be in. If you have a rather small living room, you'll want to use small cushions. Large cushions in a small room will only make your room look smaller, which is stylistically never something you'd want. If you're considering new cushions, you should know that you don't always have to buy brand spanking new ones. Old cushions will work just as well – all you have to do is add a new cover to them. Cushion covers are relatively cheap and come in all shapes, sizes, and colours for any interior design style you have. But you can also create your own cushion covers yourself. Do it yourself projects are so much cheaper than buying pre-made materials, and making your own covers is actually quite simple. Just take your favourite piece of cloth, measure it to match the shape of your cushion, then sew it all up with a zipper for easy cleaning later, and you're done! In addition to being cost effective, making your own cushion covers gives you many more styling options for your interior than anything you could hope to find on the market pre-made. The last piece of advice we can give you when looking for the right cushions for your home is to simply search the internet. If you're stuck on style, search homify's pages for your personal interior home design and get inspired that way. For example, if you have a modern home and you're looking for cushions for the living room, simply look under the Rooms tab and specify modern for a complete picture list of modern living room designs. Here, you can see hundreds of different design styles, colour, size, and fabric choices to inspire you. For new cushion coverings, or more detailed steps on how to make your own covers, simply do a Google search for DIY cushions.